Looking for... Albuquerque Singles Events, Albuquerque Singles Dances, Albuquerque Speed Dating, Albuquerque Singles Groups, Albuquerque Singles Activities, Albuquerque Singles Resources, Albuquerque Singles Networking Opportunities, Singles Dining Clubs, Events for Christian Singles, Jewish Singles and Mature Singles in Albuquerque, Albuquerque Singles Parties, Opportunities to Meet Singles, Find Clubs and Dating Sites, Social Events for Singles in Albuquerque, Local Singles Dating Opportunities... Single Dating Sites... Single Women... 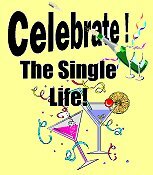 Single Men... and the Albuquerque Singles Dating Scene ... and are tired of Singles Bars and are looking for nightlife in Albuquerque ..well, you’ve come to the right place. Whether you're a Single Woman or Single Man this is your gateway to Singles Events and Activities in Albuquerque. It doesn't matter if you're looking for Speed Dating in Albuquerque, or just plain old fashioned Singles Dining - Singles Dance or Singles Social Events... this is the place to come. You might even find organizations for Christian Singles, Jewish Singles, and Mature Singles... as well as Networking Opportunities... and a whole lot more. Isn't it about time you got out of the house and lived it up a little?... here's your chance! Active Boomer Singles - A Meetup group for active singles in their 40's-60's who enjoy doing things with a group of people committed to a healthy, active lifestyle. Albuquerque Singles Meetup Group - A social group that lets Single people meet other Singles through various activities and social events. It's Just Lunch - A dating service for busy professionals. They hand select matches for each client and make all the arrangements for lunch or drinks after work. Albuquerque International Meetup - Though not strictly for Singles, this group is for anyone that enjoys meeting people from other countries, learning from other cultures, sharing cultural experiences, learning other languages, etc. Albuquerque Singles Over Sixty - An activities group that offers a place for Single boomers and seniors to enjoy social activities. Java Jumpers - Though not strictly for Singles, this is a meetup group for people that love coffee, good food, and great conversation.